»Contributions»5690$ raised for DSC via CUNXTSAT’s fundraiser! 5690$ raised for DSC via CUNXTSAT’s fundraiser! It’s never too late to thank people who believe in you, who try to help you in every possible way and who give you without asking in return. 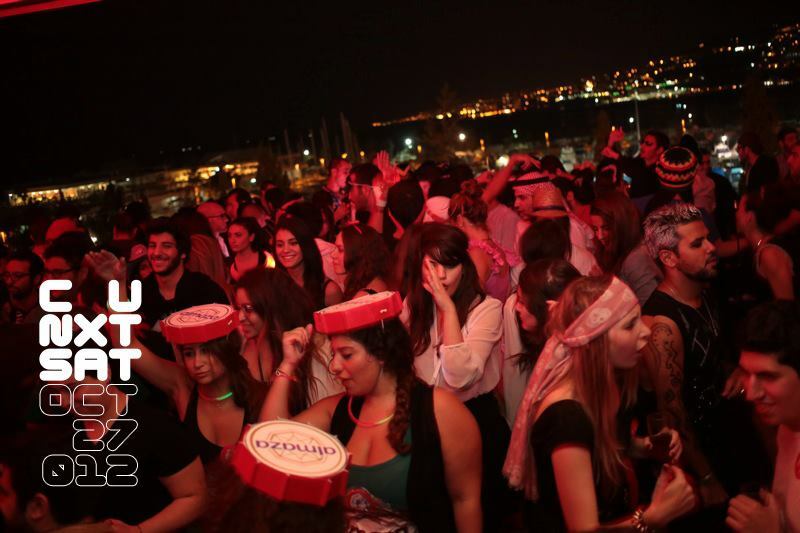 On Saturday October 27, the CUNXTSAT team organized “I LOVE POP”, a Halloween party at Bar National – Kaslik, in order to support DONNER SANG COMPTER for their daily effort all over Lebanon, and thank them after mobilizing so many blood donors to all the hospitals that hosted the victims of the Ashrafieh bombing. On this night, 569 fans and supporters of the NGO rushed to the place, dressed in awkward, either freaky or hilarious costumes, partying and dancing till dawn, in a lovely atmosphere, with one goal in mind. With minimal promotion, and so much effort and heart put into the event, a total of 5690$ of pure profit was raised for DONNER SANG COMPTER. We would like to thank the organizers, especially the C U NXT SAT team for their generous and wonderful contribution, as well as each and everyone of the attendees. Photos of the event can be checked at the following location. ← Bloggers, OLJ and the British Ambassador praise DSC after the Achrafieh explosion!